Big Sky windshield would be great for drive-in movies! Discussion in 'Model X' started by scottf200, Feb 29, 2016. 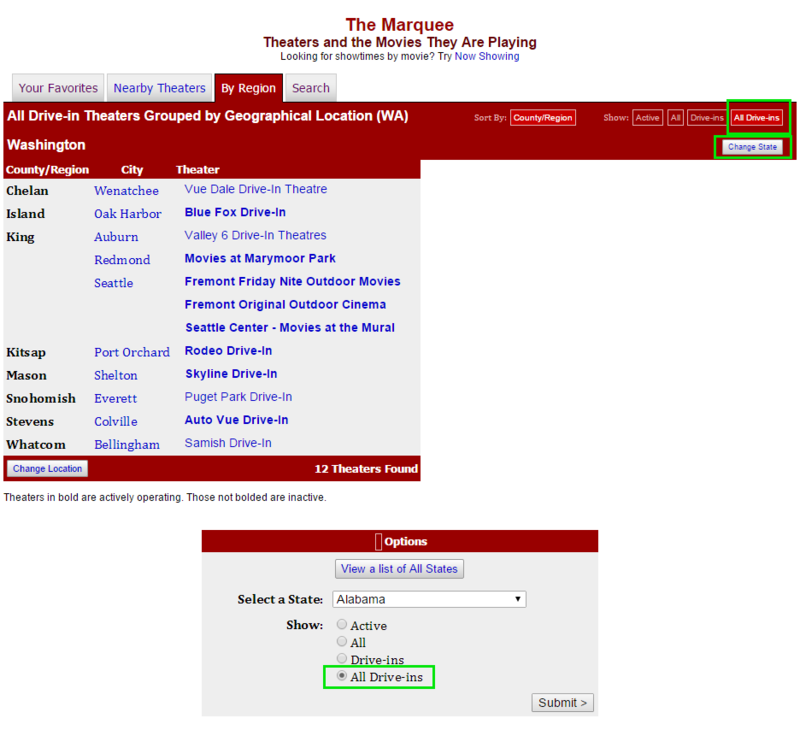 Planning some road trips and one of the B&Bs showed local activities one of which was a drive-in movie theater. 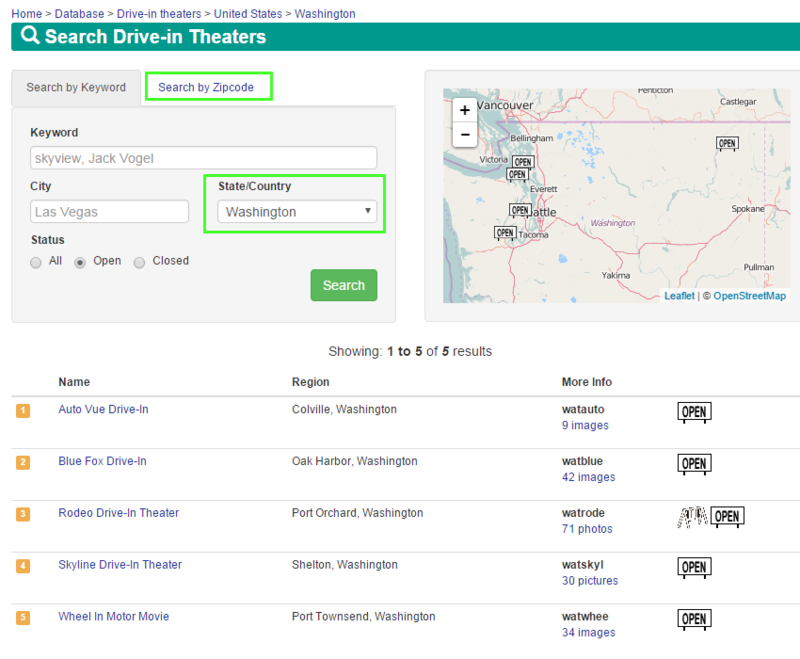 Looks like the one referenced is using the name "outdoor theater" instead of drive-in theater. We used to go with our first kid. We also had one when we grew up in our small home-town. * Meet the inventor of the Drive-In Richard M. Hollingshead, Jr. It would be so awesome with that windshield! Where did you find some that are still in operation? I think there's one about an hour from me that has limited showings. There used to be a whole lot more but have shut down between 5 and 10 years ago. There are some sites that show them. The one I was looking at near the B&B was in WI. Yeah, the X would be great for drive-ins. We do outdoor movies in my back yard during the summer. I have a 120-inch outdoor screen and a spare projector and surround sound system that I put out there and we invite about 50 of our closest friends and neighbors to watch with us a couple of times a year. For fun, I was going to set it up to watch an outdoor movie from inside our X when I got it (but now I'm not getting the X, so that's not happening any time soon). I figured it would be easy to just run a line output from the blu-ray player in through one of the windows and into the input jack on the Model X audio system to get the sound coming through the car system. Would have been fun! How did you cancel your X after confirming? The MX windshield would be pretty cool for a drive-in movie theater. My city has free drive-in movie theater showings once a month during the summer and I used my smart car for that--it was actually quite comfortable when reclining the front seats and a pillow and I could angle my car within the parking space toward the screen! I wish these would come back in more areas though! It's tons of fun and I'd recommend it to anyone within driving distance of one. I sent them a picture of a Model S in my driveway with about 2 inches of clearance on each side. The X would not have fit. And I asked nicely. Got the full refund check a few days later. No complaints there. Good tips from Kman's video on how he uses his Model S to go to the drive-in. For the Model X, the remaining problem I have is that the DRLs remain on (even if range mode is off). Possibly because I'm in Neutral (w/e-brake). This would not be friendly at a drive-in. Any solutions others have come up with?!? Heavy towels I guess hanging over them with half the towel hanging in a partially opened frunk? What the heck does your terse comment mean? SDarren Byrd -- So I put it in park and kept my seatbelt on. Car never turned off. After the movie was over I opened the door and walked away with the family still inside. It all turned off. So with 8.1 at least in park allows all lights off, AC on and radio on with seatbelt on. No idea if seatbelt is required. Only used 2% battery over two hours. My I3 used 3ish percent of a smaller battery. I think Drive-ins use AM radio stations to broadcast the audio, so we won't be able to hear the sound? All the ones I've seen recently use FM and the sounds is very reasonable. On the earlier question about what to do with the DRLs - turns out they get turned off when you select Range Mode. So add that to the drive-in theater list. 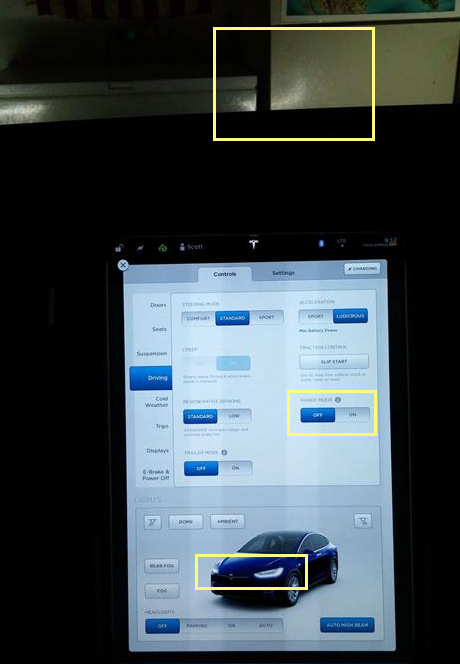 We just did our first long drive in our new Model X and I couldn't for the life of me figure out why the DRL weren't on, nor were there any controls for them on the screen. 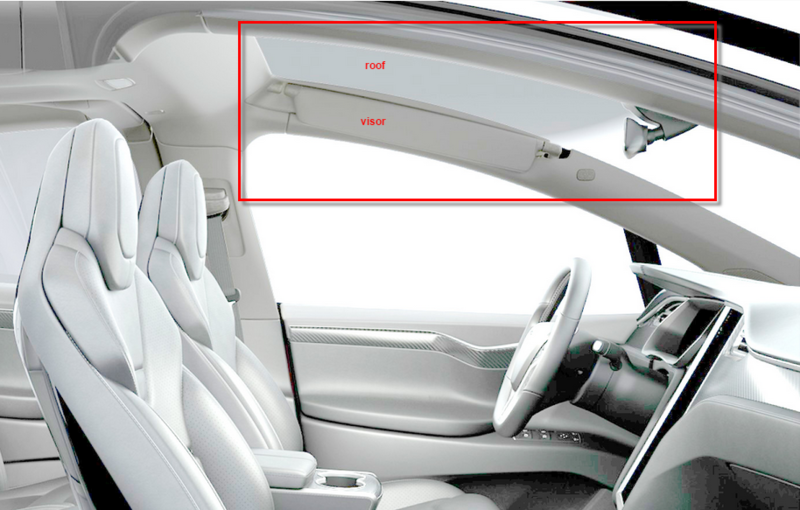 A read through the Model X instruction manual cleared this one up! I looked in the manual (PDF) but could not find that reference. Can you point out where it is at in the manual? Surrounding headers/sections/etc. Darren Byrd --Range mode with ebrake on and in neutral left the DRLS on. Same range mode and park. I just went out to my garage with my X unplugged and a mirror in the front left area of the car so I could see the lights by leaning my head out the drivers window. I could not get any combination of RANGE MODE ON|OFF; Headlights OFF|ON|AUTO|PARKING; EBRAKE ON|OFF to get the DRLs off. I believe this varies by countries (i.e. Canada law allows option) but perhaps it does by state too? Bottom of page 51 in the v8.0 US manual. Maybe I'm referring to additional running lights? Are there both the headlight surround lights AND DRL elsewhere? On the Model S I thought they were one and the same. Now I need to go look with a mirror. Yes, please try a mirror. it worked great. Perhaps this has changed with one or more fixes. 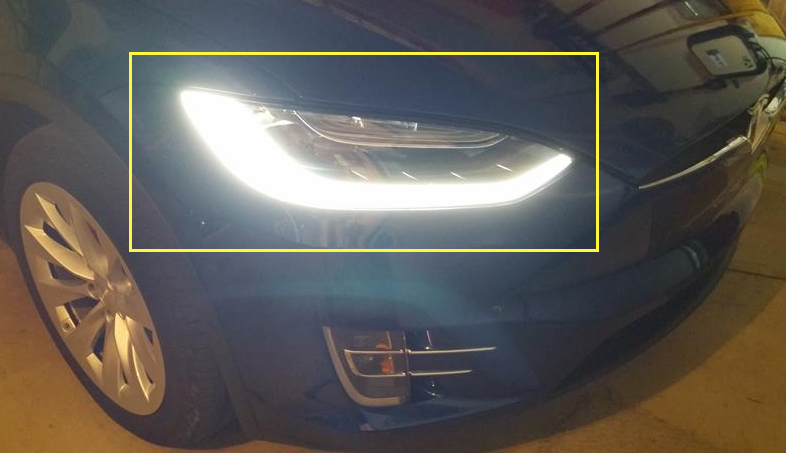 See this recent article on the Signature Lights (Tesla's name for DRL).